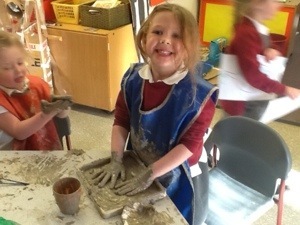 We found out that clay is a natural resource, it comes from the ground. We explored how to change it’s shape and what happens when you add water. 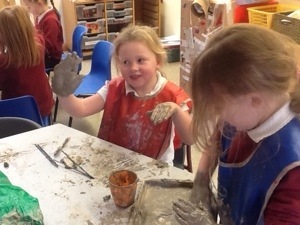 It was very messy and we loved it! 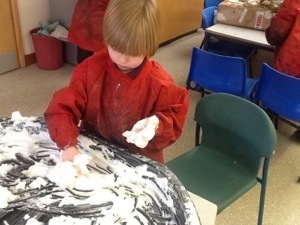 Oscar practised his letter formation in the foam!